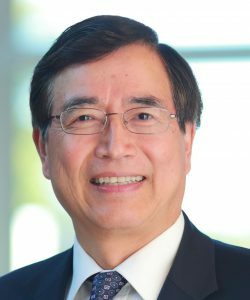 Dr. Chung is Chauncey M. F. Egel Endowed Chair and Director of Postdoctoral Orthodontics Program. His primary research interests include craniofacial growth and development, dentitional development, diagnosis and treatment of transverse problems, rapid palatal expansion, orthodontic treatment for young children and adults. He has numerous papers published in the American Journal of Orthodontics and Dentofacial Orthopedics, European Journal of Orthodontics, Angle Orthodontist, Journal of Clinical Orthodontics, Seminars in Orthodontics, Seminars in Orthodontics, International Journal of Adult Orthodontics and Orthognathic Surgery, Journal of Craniofacial Genetics and Developmental Biology, and Calcified Tissue International. Dr. Chung maintains his clinical practice at the Penn Dental Family Practice in Berwyn, PA.